IV administered drugs are preferred to oral drugs because they generate quicker results and are highly accurate. For the efficient administration of drugs and nutrients, IV bags represent a cost effective solution. Flexible plastic bags are available in Polyvinyl chloride (PVC) and PVC-free variations, and they offer one or more separate chambers and ports, low weight, reduced waste volume and full collapsibility. 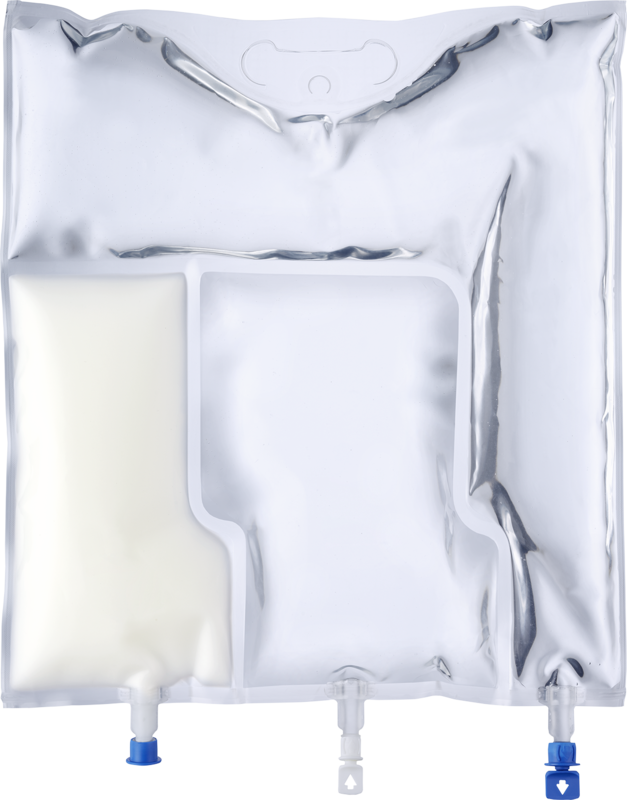 Fresenius Kabi Contract Manufacturing offers outsourcing of a vaste range of multi-chamber bags with two, three or more chambers for parenteral nutrition or drug reconstitution up to 5000 ml volume. These multi-chamber bags have been designed to allow each component to be housed in a separate compartment, and the seals between the compartments must be broken before administration to the patient. IV multi-chambers bags are produced in many Fresenius Kabi manufacturing sites globally.